Contact RC Electrical Services where we provide results that are the distinction between being called back and being invited back. Call us today or fill out the online form on the bottom! where we provide results that are the distinction between being called back and being invited back. 1) Improvement of the electrical structured cabling of our electrical outlets. 2) Installation of Closed Circuit TV Security Camera system. 3) Rewiring of the Kitchen Lights and kitchen cabinet lights. I am also going to use their services to do entire wiring for the basement of our house including power, data and multimedia (sound system wiring). Thank you so much for your professionalism RC Electrical. 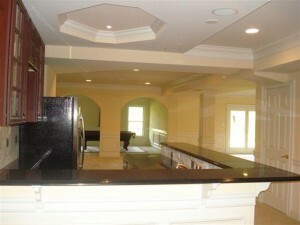 Rene and his crew were professional, prompt, great quality work and ensured that we were satisfied. Would highly recommend! Rene did an excellent job. On time, efficient, and thorough.. Bedroom ceiling fan installation looks great as well as new bathroom switch. Highly recommended. Rene was a great electrical contractor. His work, and the way he conducted himself on the job site, and in public, was nothing but polite and professional. We hired Rene to wire our basement. 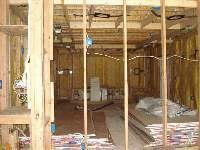 He installed 5 circuits worth of recessed lights, outlets, GFI outlets and 3-way switches. He also cleaned up the sloppiness the home builder had left in the mechanical room. He was always on time, and the inspector even complemented on the quality of his work. He said, “You can tell when someone knows what they are doing, the work is very clean and makes my job as an inspector very easy.” As a home owner, that is the kind of thing you want to hear when you are having people do work in the biggest investment of your life. 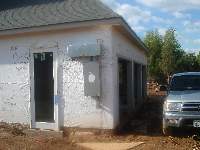 I will be recommending RC Electrical Service to all of my friends and use him for all future work. 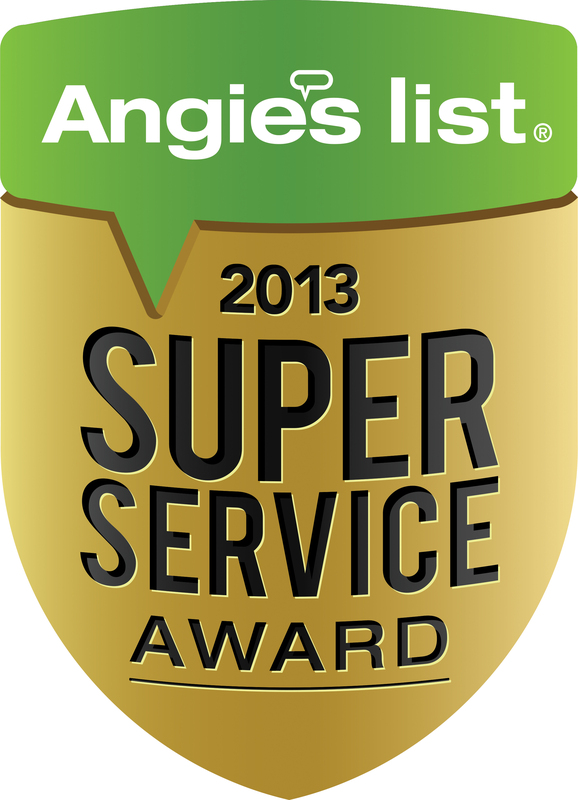 I am writing this letter to highly recommend Rene Cartagena to provide electrical services. During the past few weeks my family has employed Rene to do two separate large electrical jobs. First, Rene completely redid the entire electrical system on an old (60 years or older) 1400 square foot cottage on our property. 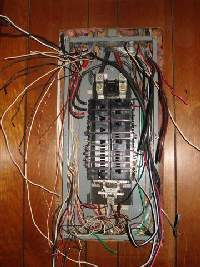 The work involved redoing the entire electrical system — which had to be brought up to the International Code, including grounding, outside outlets, inside outlets, wiring for all appliances, furnace, well, air conditioning, telephone, internet and cable services, and installing a new breaker panel. 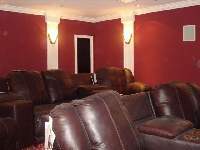 In addition Rene hung light fixtures and installed recessed lights. Second, we asked Rene to update the communications wiring in our primary residence….which did not have cable wiring or high speed internet wiring. Rene did an excellent job on the work in both places. First, since there was no general contractor or architect involved, Rene, after asking us about what we needed, figured out what had to be done to accomplish our goals, drew sketches to show us, and fully, carefully, and patiently explained to us his recommendations. Then he gave us fixed price proposals which were very reasonable. 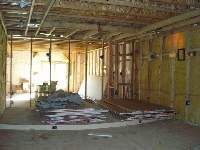 Rene came when he said he would, did excellent work, kept the workplace as neat as he could (given that in both cases he was fishing wires behind walls), and was polite, courteous, and always pleasant on the job site. In the cottage where there were other tradesmen at work, Rene got along well and was able to get his work done efficiently. 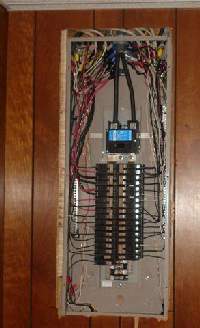 The wiring for our primary residence was very complicated because we were trying to integrate old lines with new lines and to do as little damage to the drywall as possible. Rene had to do some complex wiring to make it all work…but he would not quit until he had it completely figured out. Rene is well-organized, always brings the materials he needs to the job site, and is logical and careful. He clearly takes great pride in his work and wants it to be perfect. 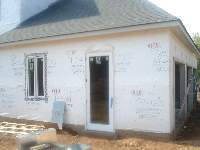 After he was done, with the assistance of his brother, the drywall was patched nicely and matching paint was placed on the walls so that none could see where the work had been done. Then Rene cleaned up the areas where they had done work, replaced all the furniture, and helped rehang pictures–all with patience and a cheerful disposition. I have really enjoyed having Rene do this work for us and we look forward to calling him in the future to help us with our electrical needs. I highly recommend him. If you have any questions, please do not hesitate to telephone me at 202 994-3958 or 703 759-2951 or send me an e-mail at lzubrow@law.gwu.edu. 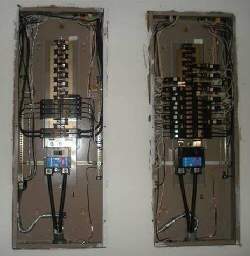 I personally want to thanks and recommend the services of electrical installations provided by René Cartagena, The service is professionally done by the same person, very affordable prices within reach of every pocket and the references of his work give us the guarantee of a good work. 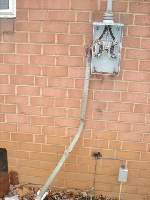 This entry was posted in Services and tagged Ashburn electrician, electricians in Ashburn Virginia, local electrician on June 3, 2018 by admin. Ceiling fans can bring numerous energy saving benefits to the home. Most Ceiling fans use only about as much power as a 100 watt light bulb. When used properly, ceiling fans can save you money in utility bills in both the winter and summer months. There are actually many benefits to having a ceiling fan all year long. I would like to list the benefits of installing a ceiling fan in your new home. In the winter time, a ceiling fan circulating the air helps to distribute warmth coming from a space heater or heating stove around the neighboring rooms of the house. In the summer months, your ceiling fan offers the greatest energy saving benefits when run in a counter-clockwise direction. While a ceiling fan does not necessarily lower the temperature, it does make the room feel cooler by providing a circulatory breeze. If the outside temperature is not too high, you might be able to achieve a comfortable environment by turning off the HVAC altogether, by opening a few windows and allowing the ceiling fan to circulate warm air outdoors. Effective circulation can make you feel up to 8 degrees cooler, and reduce air conditioning bills by up to 40%. Ceiling fans provide alternative for the air conditioner, when the heat is not too bad, and they are less costly in electricity. The electricity consumed by operating a ceiling fan is pennies per month when compared to dollars a month for a modern efficient air conditioner. Ceiling fans can be an easy update to an old room and add significant circulation. This is beneficial during summer months to circulate cold air and in the winter months to push down warm air. Whether you are looking for a quick decoration update or want to make your home more energy efficient, adding a ceiling fan could be a good choice for your home. Installing a ceiling fan in your home can save you money each month on your utility bills, when used correctly. Make sure your ceiling fans are strategically placed throughout your home or business in rooms that are used the most often. Also, make sure your ceiling fan blades are 7-9 feet above the floor, and 10-12 inches below the ceiling. Your ceiling fan should also be installed 18 inches away from any walls. Angled ceilings require that you install “downrods” (also called extension tubes or downtubes) that will lower the motor and fan blades so they’ll clear a sloped ceiling surface. The more space between the ceiling and the fan, the better. The fan will have more air to draw from, and you’ll feel more air movement because the blades are closer to you. 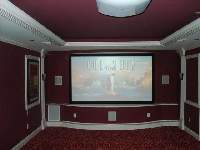 Most fans come with a short downrod designed for mounting on 8-ft. ceilings. 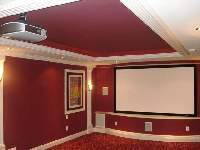 If your ceiling’s less than 8 ft., you’ll need to remove the rod provided and flush-mount the fan. 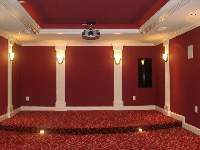 But if you have a higher or sloped ceiling, purchase a longer downrod. When you decide you are ready to install a new ceiling fan in your home or a replace an old one, don’t hesitate to call us with any questions or to schedule an appointment. This entry was posted in Services and tagged ceiling fan with light, Ceiling fans, cost to install a ceiling fan, installation services on June 3, 2018 by admin. This entry was posted in Electrician and tagged electrician in ashburn, electrician in fairfax, electrician in loudoun, Need a Recommended Electrician? on June 3, 2018 by admin.